Though the practice of opening one’s home and hosting family when they’re in town has likely existed since the first humans traveled away from their parents, the generosity of offering a bed to outsiders has not been as widely observed. Couchsurfing.org was one of the first online platforms that made it easier for travelers to meet local denizens and experience their native culture by staying with them. Couchsurfing has been called the “grandparent of the collaborative consumption” movement and continues to serve as an introduction for millions of people into sharing their lives with strangers. I recently connected with CS’s Community Outreach Manager, Colleen Sollars, to find out some of the history behind CS’s mission to “create inspiring experiences”, and learn a little more about its evolution and growth. She also talked a bit about her new role and the developing need for Community Managers at CS. Caterina Rindi: Let's get a little background on Couchsurfing itself. 5.5 million members, including every country in the world. That's amazing! What is the Couchsurfing family tree, going back to its inception in 2003 or so? Who else was promoting this kind of sharing of "cultures, hospitality and adventures"? Colleen Sollars: When the Couchsurfing website became public in 2004, there were a couple of organizations that were connecting people for home exchanges, but in a low-tech way. In the case of Servas, exchanging information involved getting a list via the postal service, and Hospitality Exchange came into existence online about the same time as Couchsurfing. A group of dedicated volunteers worked in collective households to build the early Couchsurfing site collaboratively, but without much organized planning or architecture. Couchsurfing began offering something unique, leveraging technology to give people an opportunity to see more information about potential hosts and guests, including photos; information about their home, their city, and the things to do there; and references from others in the Couchsurfing community who had significant experiences with that member. CR: What do you think made the existence of Couchsurfing possible? For example, many analysts of the sharing economy cite the recession, and the growing ubiquity of social media and tech+mobile communication platforms for its appeal, but that came several years later. Couchsurfing started before that, right? So which technologies, movements or companies led to Couchsurfing? CS: More than anything, what made, and what makes Couchsurfing possible is the deep desire in people to connect with others and have richer experiences when they travel. There was really no mechanism by which people traveling could meet locals without starting random conversations in hostels, hotels, pubs and the like. In some cultures, it’s impossible to break into local culture without an introduction from someone inside it. Also, Couchsurfing is free, and that facilitates travel for many people who would not be able to travel as broadly, were they paying for accommodation, but it’s really a side benefit of a network that is, essentially, a global community of like-minded friends you just haven’t met yet. 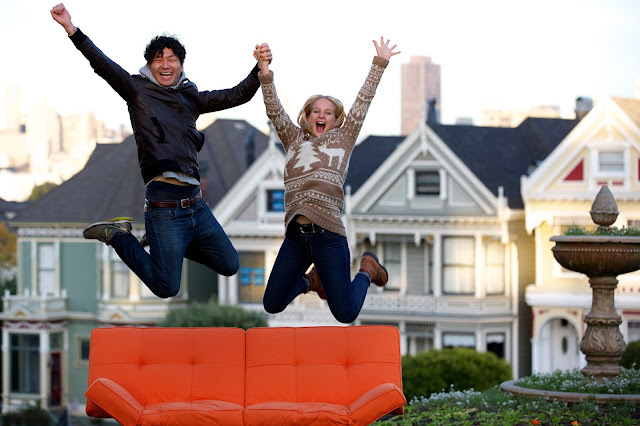 Upon using it, people quickly become aware of the meaningful connections that are possible through Couchsurfing. Couchsurfing has been called a grandparent of the collaborative consumption movement, and we are honored to be thought of in that way. CR: Lastly, recognizing that your mission is to "create inspiring experiences" who do you think are CS's contemporary peers, either in the sharing economy or not? CS: In my view, our closest peers are cultural exchange programs in schools and colleges, as we share a motivation: to bring people into better intercultural understanding. Lower-cost travel accommodation is a side benefit of the connections people make through our site. The real value comes with the exchange of hospitality and the shared adventures people have with no money changing hands. When someone hosts you purely because they want to meet you, and share their life for a brief period of time, you get a profound experience of the basic good nature of others. That creates lasting bonds between people. CR: Now let's talk about you and CS. Can you tell us how this new community outreach manager role developed at CS and for you? CS: Couchsurfing is operating in a fast-paced and dynamic way. Things change daily, and our organization has seen tremendous change in the past twelve months. I’ve been with the organization since 2009, and have worked in a number of roles, seeing the shift from a volunteer-run non-profit to a for profit corporation in the start-up fast lane, more capable than ever to continue fulfilling our mission. As Community Outreach Manager, I do a huge variety of things including: working with the media, finding amazing Couchsurfing stories from our diverse and active community, working with Couchsurfers who take media interviews (as is sometimes requested), and with the broader Couchsurfing community as well. Having spent the last seven years as an active Couchsurfer, and more than three of those years deeply involved in the evolution of this organization, I was ecstatic to be offered the opportunity to share my passion for Couchsurfing more directly with the public as the Community Outreach Manager, and to support our members who are creating amazing events all over the globe. CR: How does this position differ from the more common community manager position that many sharing economy businesses are embracing, not to mention CS itself, with Sam Houston's and Martina Steinmann’s roles? CS: The community management roles at Couchsurfing are focused on how to best to serve our community as we, the community and the company, continue to grow and evolve. In addition to the traditional community management concerns that I, Sam, and our new Community Manager, Martina Steinmann, work together to address, my role as Community Outreach Manager, encompasses a few externally-facing responsibilities, as I mentioned. Really, community management is about acting as a champion for your community members. CR: Any other thoughts or impressions you'd like to leave with our readers? 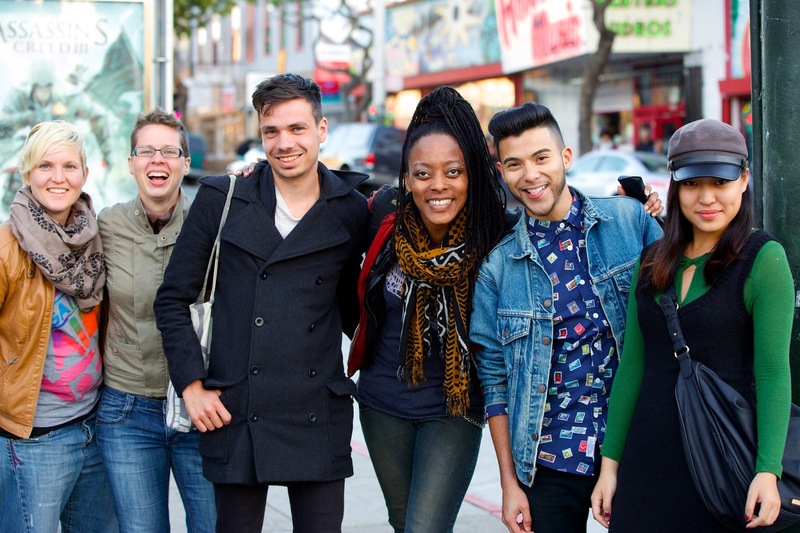 CS: Couchsurfing is not just a place to share resources, it’s about sharing your life. If you’d like to get involved and learn more, you can join the Couchsurfing community online, read some members’ stories, and follow the CS tumblr for travel tips and posts.